Another week has passed, so we’ve got another seven events to fill the cultural void in your life if you’re stuck for things to do around the region. This week we’ve got some casual Tory-bashing, Little Shop of Horrors as you’ve never seen it before, an amazing send off for one of Sunderland’s most beloved establishments and much, much more. Is it apt to call this a “film” event? Roger Corman’s 1960 cult classic film might be playing in the background, but really this event is all about the talented musicians in front of the screen. Four performers, will be re-voicing the movie, perfectly lip-synching every line of dialogue in the film. Not only that, but they’ll also be performing a brand new live score and making their own sound effects. I don’t envy them. It’s Live Live Cinema’s most ambitious project to date and you’d be a fool to miss out. This week sees the last of the Writers’ ARCADE Group’s Rehearsed Readings, showcasing works in progress by some of the best emerging writers from the region and beyond. For the final Rehearsed Reading, Allison Davies is presenting her work Song of the Hive, a drama in which a woman faces not being able to find the right words, an increasingly shaky marriage and the fact that the bee population is rapidly dwindling. It might turn out to be a sombre end to the series but it’ll still no doubt be a brilliant example of the amazing work that the ARCADE Group does. If you haven’t been keeping up to date with the Tyneside’s series on Czech director Vera Chytilova, then this is a good place to start. Prefab Story is Chytilova’s multi-layered look at what was then contemporary life in Czechoslovakia (the film was made in 1979). It’s set against the background of a high-rise estate, and examines the nature of morality and the increasingly materialistic nature of its inhabitants. Because of its critical nature, the film never received international exposure upon its release and was only given a very limited run; this is a rate opportunity to see it on the big screen. After two years and numerous highs, Frankie & The Heartstrings’ beloved record store and venue Pop Recs will be closing its doors this week (though hopefully not forever). 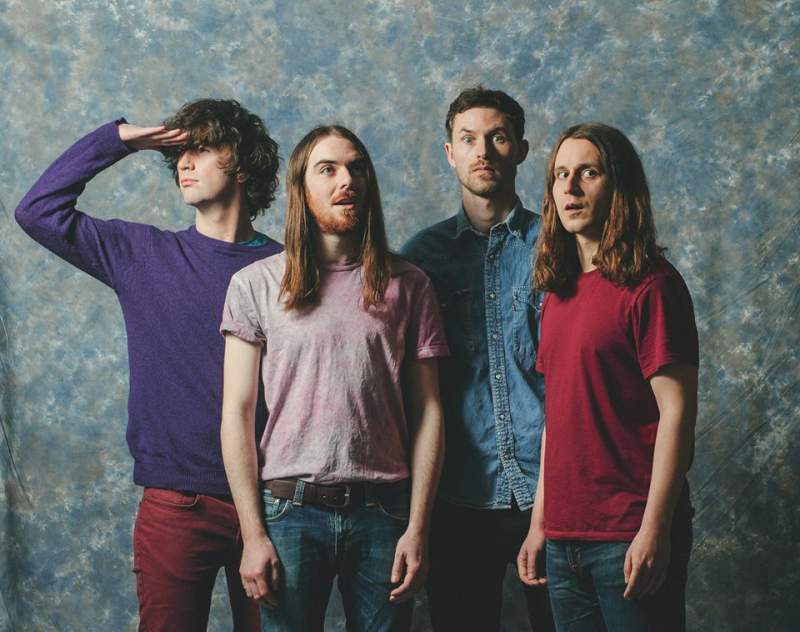 For the final send off, Leeds rockers Pulled Apart By Horses will be making the trip to the relatively intimate venue to play to what could turn out to be a packed audience. They’re joined on the night by a bevvy of some of the region’s most talented bands: Drifts, Shades and Mansions of Glory. They’ll even have a bar on and some hors d’oeuvres made by Dave’s mum. We’ll miss Pop Recs in its current form, but it’s certainly going out with a bang. It’s been twenty years since activist and writer Ken Saro Wiwa was put to death in Nigeria by government forces, with the alleged co-operation of oil giant Shell. This special event, which runs as part of Footprint Modulation, sees London-based campaign group Platform and Transition Durham teaming up to present a range of thought-provoking performances and a documentary film asking what we can do to reduce our dependency on fossil fuels and reflect on Saro Wiwa’s life. It’s set to be a fascinating insight both into the life of a man who fought for the rights of his people and into our own attitudes towards non-renewable energy.